Rapidsoft Systems: IT Services Done Right! Rapidsoft Systems (www.rapidsoftsystems.com) is a leading product, R&D, software development and managed IT support company with expertise in Application development, Web technologies, Networking Applications and Mobile technology across multi platforms. The company is NJ/US registered C-Corporation. We have been operational since 2005. We are also a member of NJ Technology Council. 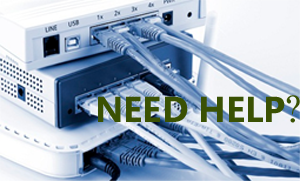 We develop software and hardware; we do advanced R&D and we provide wide range of IT support services. We are not your a typical IT shop as our focus is on solving complex problems, building scalable systems and dealing with complex security issues for our clients around the globe. We work with small startups as well as with big Fortune 500 corporations and only company with broad expertise in multiple technologies segments. And unlike any of our competitors, we have the ability to develop both hardware and software, and are fully committed to protecting IPRs of our customers. We are a professionally run midsize software & Product development company with multiple development centers in India and the US. Rapidsoft’s executive management staff provides the experience and tactical excellence that are needed to achieve our aggressive goals of satisfying client requirements both today and in the future. Many of senior staff members have been at the forefront of technologies for over last two decades, and have written numerous technical and research papers, Internet RFC, standards documents, and have been speakers at prestigious IEEE, ACM and Industry conferences and seminars. Our Engineering Management Team has 200+ man years of experience with previously running major projects at world leaders like Alcatel, Motorola, Nokia, Lucent, Glenayre Technologies, Cisco Systems, Oracle EMC, Ennovate Networks, Corona Networks, Telstra, Intel, Toshiba and Matsushita (Panasonic). We have guided large and complex multi-million dollars Fortune 500 projects and created products with combined market values of Billions of dollars. With a strong knowledge base and proven expertise in the areas of Wireless Internet, Web Technologies, Mobile, P2P, Computer Networking and Infrastructure development, our team is your ideal technology partner. Our ability to work on latest Web technologies, Mobile Networks and support multiple devices makes us immensely valuable to all our customers. 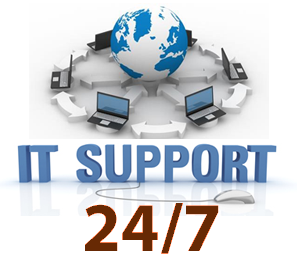 Rapidsoft is a development company and a support company. Our teams work in a number of technologies. We do R&D, We develop and we support systems. If you are looking for the developments ervices, please go to the main development site of Rapidsoft Systems. Application Server: J2EE, Concur Transaction Server, PWS, IIS 6.0/ 7.0. Embedded Software Skills Real-time OS – WindRiver/QNX, Windows CE, pSOS, Embedded Linux, ATI Nucleus, etc.